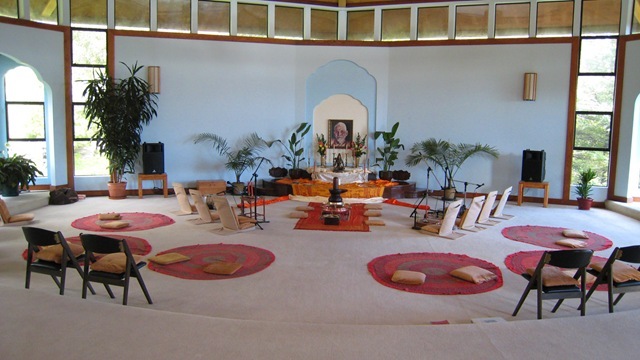 The SAT Temple is a Siva Temple. 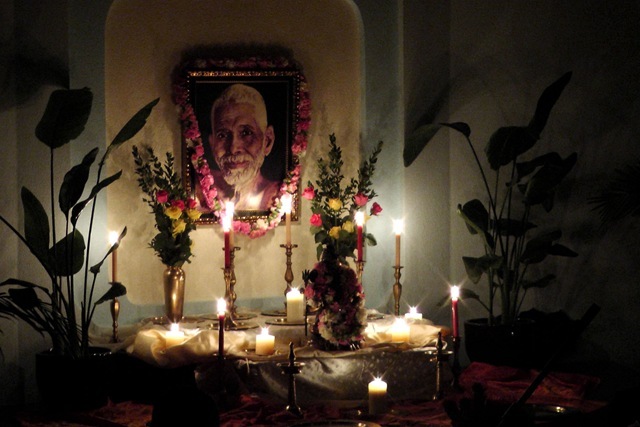 Sri Ramana Maharshi is recognized here as the Lord Siva Himself. 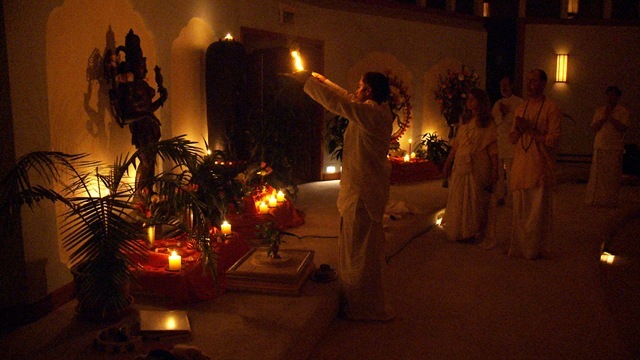 Therefore, worship of Lord Siva is the same as worship of Lord Ramana. 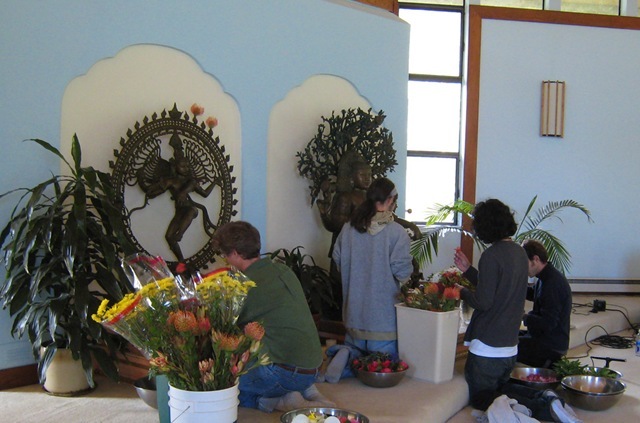 Each year, the SAT Temple celebrates Mahasivaratri. 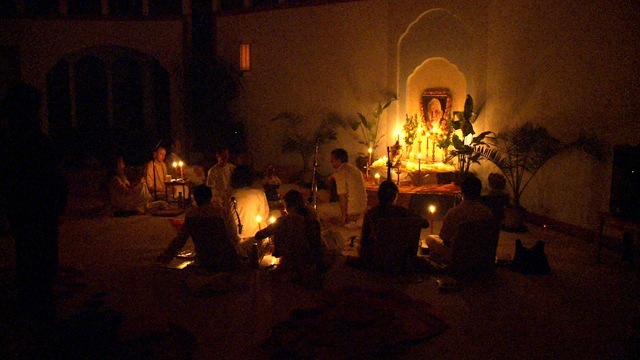 It is a night filled with worship, kirtans, reading nondual scripture, puja, meditation and silence. 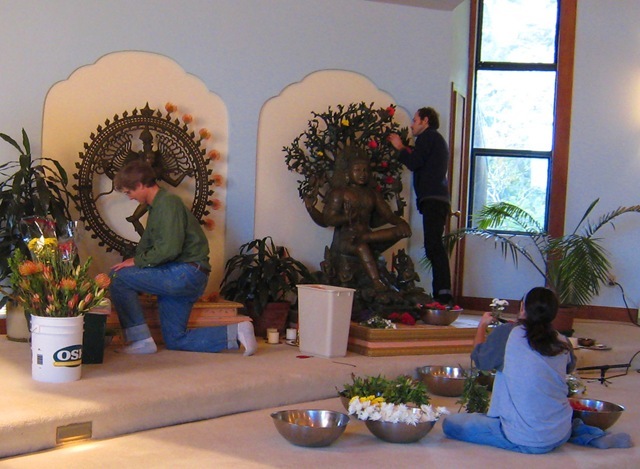 This holy event starts the moment preparations for it begin! 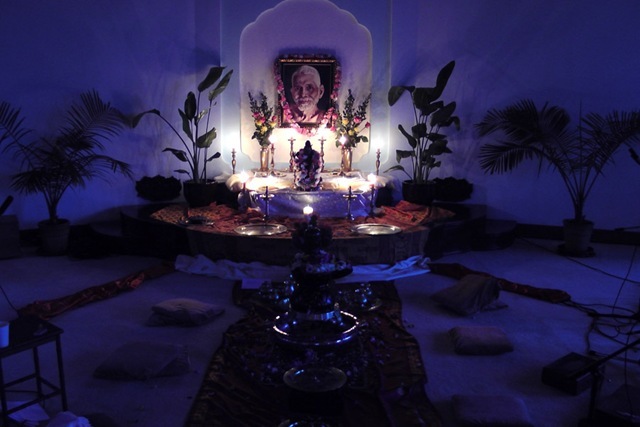 The puja setup is completed for the night’s worship! 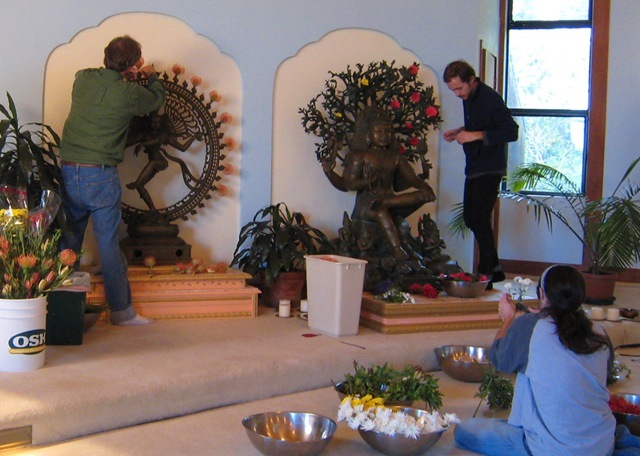 Jim, Jeremy, Jaden, and Tristan adorn the Siva Murtis with flowers for the night’s celebration. Click on the link below to view a fun short video taken by Jim. 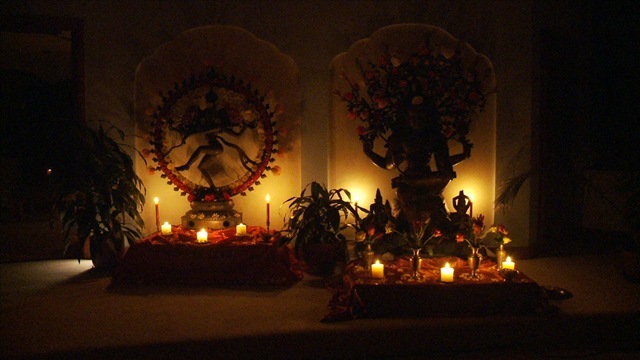 The Siva Murtis are ready! The constant contemplation of that supreme is the meditation. Renunciation of all actions is the invocation. Steady abidance in the Self is the posture. The inward flow of the mind is the water for worship. Freedom from duality is the offering. Being centered constantly in the inner illumination of Awareness and in the infinite inner nectar of Bliss is the true bath. The feeling of That everywhere is the only fragrance. Being established in one’s witnessing nature is the rice for worship. Union with pure Consciousness is the flower. 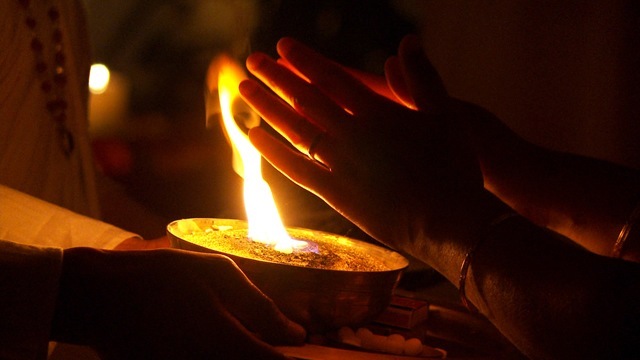 The experience of the fire of Awareness is the incense. Being established in the sun of Consciousness is the only light. 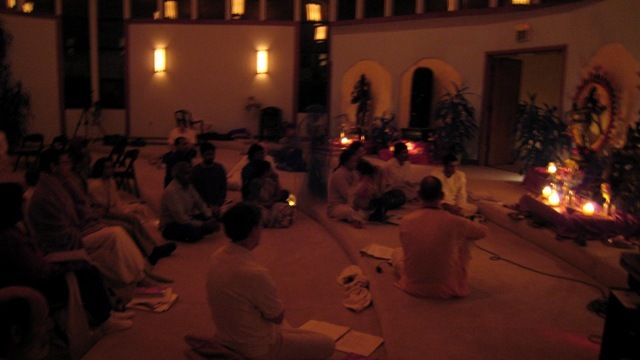 Drinking the nectar of the inner full moon of Being is the food offereing. 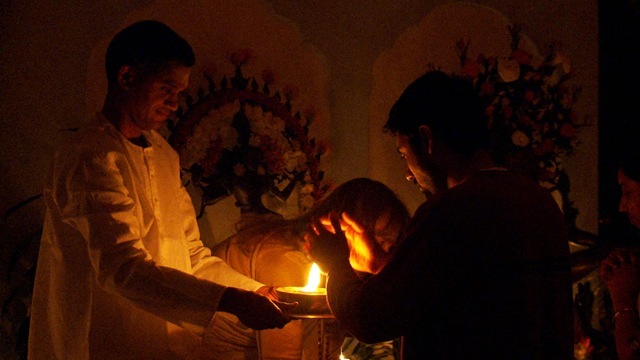 Merger of the mind in the Self is the circumambulation for worship. The feeling of “I am That” is the salutation. Silence is the hymn of praise. 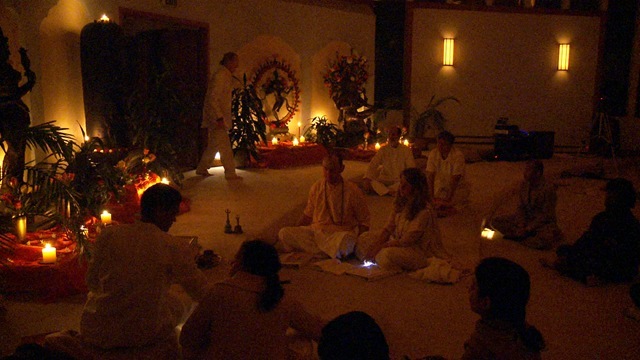 Total contentment is the conclusion of the worship ritual. One who understands so, he understands rightly. “I am that absolutely pure and perfect Consciousness” – realizing this is the only attainment of Liberation for those who desire to be liberated. 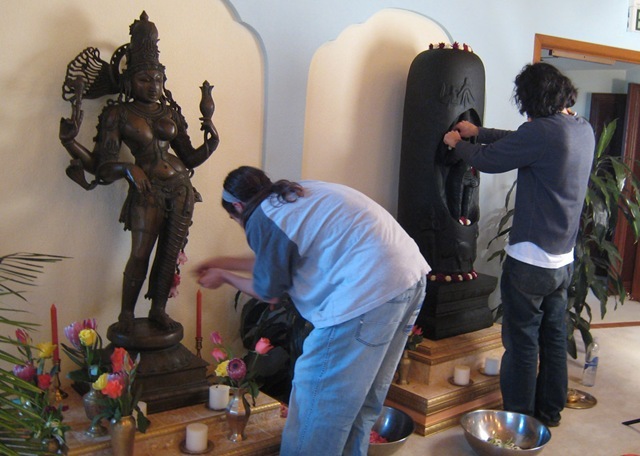 Devotees gather around the Siva Murtis for worship and meditation. 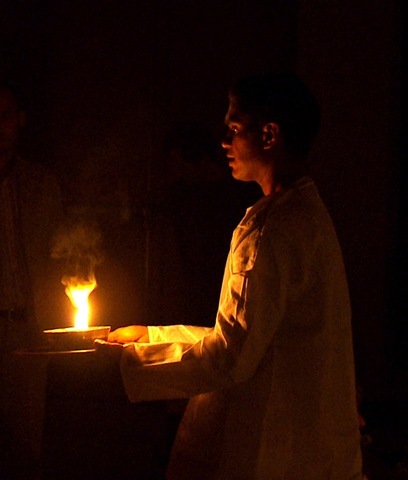 The camphor flame signifying the light of Knowledge is offered to those present. 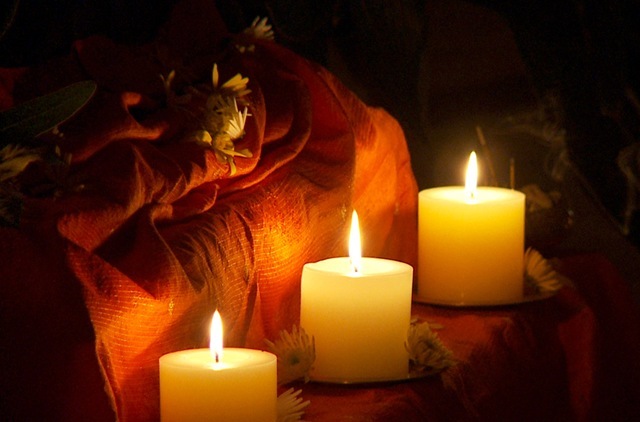 Each of us take the light symbolizing Self-Illumination or Self-Knowledge. Click on the link below to view a serene short video taken by Jim. 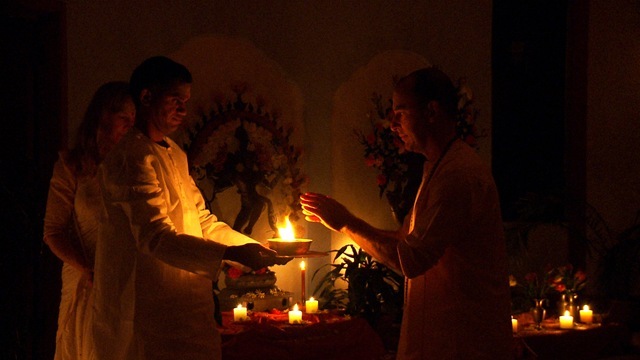 It is now time for the puja. 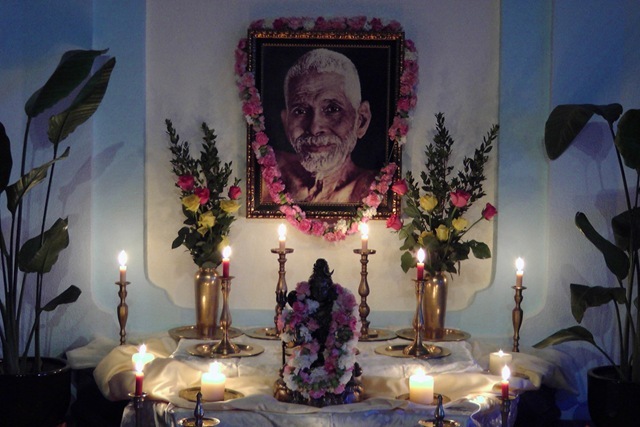 All present gather around Ramana-Siva for worship. 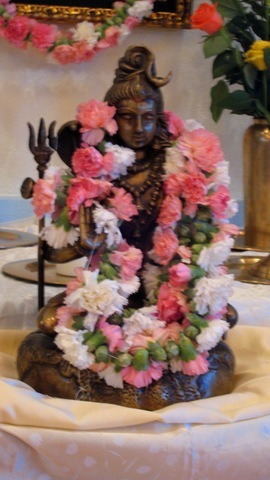 The nature of Consciousness-Bliss, Siva I am, Siva I am.